Ah, Thanksgiving. To most of us, the word conjures up images of turkey dinner, pumpkin pie and watching football with family and friends. It kicks off the holiday season and is the biggest shopping weekend of the year. 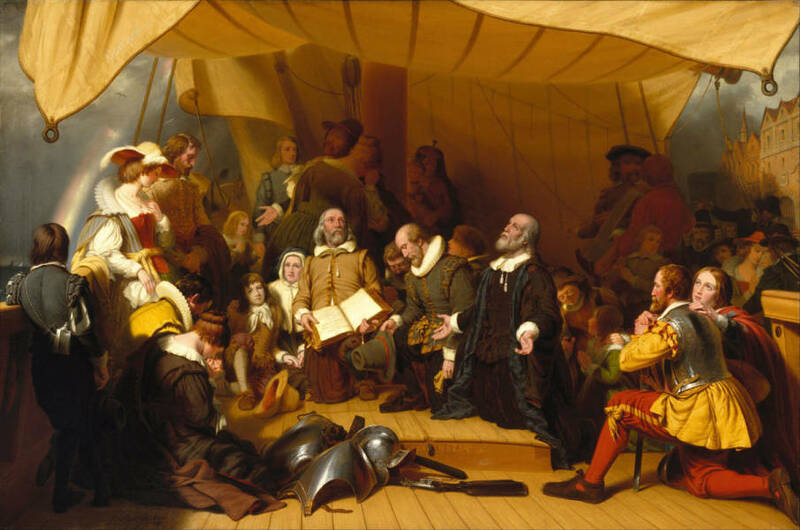 We’re taught that Thanksgiving came about when pilgrims gave thanks to God for a bountiful harvest. We vaguely mumble thanks for the food on our table, the roof over our head and the loved ones around us. We casually think about how lucky we are and how much better our lives are than, say, those in Bangladesh. But surely there is something more to celebrate, something more sacred about this holiday. What should we really be celebrating on Thanksgiving? Ayn Rand described Thanksgiving as “a typically American holiday . . . its essential, secular meaning is a celebration of successful production. It is a producers’ holiday. The lavish meal is a symbol of the fact that abundant consumption is the result and reward of production.” She was right. This country was mostly uninhabited and wild when our forefathers began to develop the land and build spectacular cities, shaping what is now the wealthiest nation in the world. It’s the American spirit to overcome challenges, create great achievements, and enjoy prosperity. We uniquely recognize that production leads to wealth and that we must dedicate ourselves to the pursuit of life, liberty and happiness. It’s no accident that Americans have a holiday called Thanksgiving–a yearly tradition when we pause to appreciate the “bountiful harvest” we’ve reaped. What is today’s version of the “bountiful harvest”? It’s the affluence and success we’ve gained. It’s the cars, houses and vacations we enjoy. It’s the life-saving medicines we rely on, the stock portfolios we build, the beautiful clothes we buy and the safe, clean streets we live on. It’s the good life. How did we get this “bountiful harvest”? Ask any hard-working American; it sure wasn’t by the “grace of God.” It didn’t grow on a fabled “money tree.” We created it by working hard, by desiring the best money can buy and by wanting excellence for ourselves and our loved ones. What we don’t create ourselves, we trade value for value with those who have the goods and services we need, such as our stockbrokers, hairdressers and doctors. We alone are responsible for our wealth. We are the producers and Thanksgiving is our holiday. So, on Thanksgiving, why don’t we thank ourselves and those producers who make the good life possible? From a young age, we are bombarded with messages designed to undermine our confident pursuit of values: “Be humble,” “You can’t know what’s good for yourself,” “It’s better to give than receive,” and above all “Don’t be selfish!” We are scolded not to take more than “our share”–whether it is of corporate profits, electricity or pie. We are taught that altruism–selfless concern for others–is the moral ideal. We are taught to sacrifice for strangers, who have no claim to our hard-earned wealth. We are taught to kneel rather than reach for the sky. But, morally, one should reach for the sky. One should recognize that the corporate profits, electricity or pie was earned through one’s production–and savor its consumption. Every decision one makes, from what career to pursue to whom to call a friend, should be guided by what will best advance one’s rational goals, interests and, ultimately, one’s life. One should take pride in being rationally selfish–one’s life and happiness depend on it. Thanksgiving is the perfect time to recognize what we are truly grateful for, to appreciate and celebrate the fruits of our labor: our wealth, health, relationships and material things–all the values we most selfishly cherish. We should thank researchers who have made certain cancers beatable, gourmet chefs at our favorite restaurants, authors whose books made us rethink our lives, financiers who developed revolutionary investment strategies and entrepreneurs who created fabulous online stores. We should thank ourselves and those individuals who make our lives more comfortable and enjoyable–those who help us live the much-coveted American dream. © 2006 Ayn Rand® Institute. All rights reserved. Debi Ghate is Vice-President of Academic Programs at the Ayn Rand Institute in Irvine, Calif.